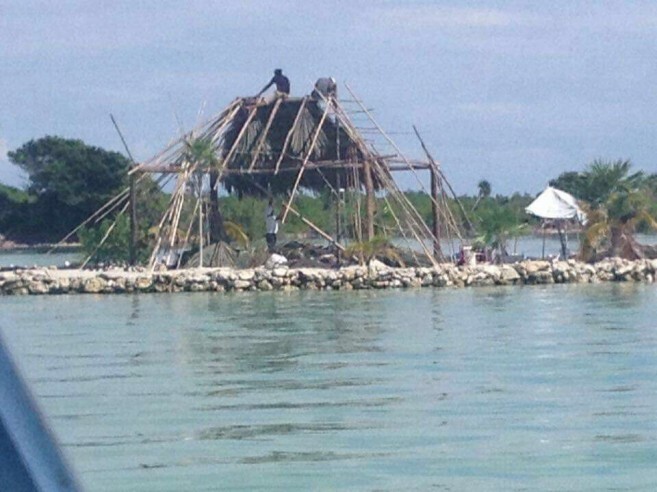 Concerned San Pedro residents have reported sightings of an alleged illegal dredging site around an islet on the western coast of the island by a local businessman. According to the allegation, the person in question also has intentions of selling the islet to a resort near the area. The islet, which seemed to have been abandoned, happens to be the private property of a local developer. A reliable source told The San Pedro Sun that the owner of the islet is already looking to pursue a lawsuit against the said businessman if he continues his activities on and around the small island. The source also added that the culprit has been using the names of the leaders from the local authorities in order to get away with his activities. To further verify the situation, The San Pedro Sun contacted the Department of the Environment (DOE), who was unaware of the activities and stated that they had not issued any dredging permits. As a result, they will be conducting an investigation in the upcoming days regarding the incident. The discussion about the suspected illegal dredging came about during a meeting at the Hol Chan Marine Reserve with members of the Fisheries Committee of Trustees. They discussed the activities taking place on the mentioned islet, which no one is in favor of. The main concern brought up at the meeting was that, at first, it was believed that the small island was inside the Hol Chan Marine Reserve Expansion Zone. “We now know that it is actually a private property and that the owner is already dealing with that issue,” said the concerned resident. “None of us knew that islet was a private property, and we hope that such activities stop very soon as we are not in support of it.” One of their speculations is that the businessman thought that the islet was ‘no man’s land,’ and proceeded to squat in it. The matter is now under DOE’s watch and they will be looking deeper into the issue in an effort to deter any future occurrences. According to them, if any incriminating issues are found after their investigation the person or business involved can face penalties for damages to the environment. They encourage everyone to report any suspected illegal environmental activities by contacting DOE at 822-2819 or 828-4877.